Please come and support the Behavioral Health Urgent Care Center. These services are urgently needed to assist people with mental health disorders and reduce the long waiting times in emergency rooms. If this site is denied there is not a backup plan and this essential service for those in a mental health crisis will be lost to Long Beach. Your support at the Planning Commission Meeting was wonderful. It is now time to finish this process and get started with helping the community. Parking will be validated and FREE inside the parking structure at 332 W. Broadway. The parking structure entrance is located off W. Broadway (one-way street). Take parking ticket inside the Council Chambers with you. (Follow the blue arrows to get to the City Hall building) the “validation” stamp machine is located at the front of the Council Chambers on the first floor (in front of Minute Clerk’s desk). There is a clear need for this center, and the location has been carefully selected. Not everyone understands the need for this facility, and some actually oppose it. However, the practices and procedures of this facility will not negatively affect the neighborhood. (CLICK HERE to see answers to commonly asked questions.) Your help is needed. Because of the shortage of psychiatric mobile response teams, police and sheriff departments in Long Beach and surrounding cities have the difficult task of responding to mental health-related calls. The Behavioral Health Urgent Care Center is a facility that will save law enforcement time in the field, will decrease the burden on hospital emergency rooms, and will help prevent unnecessary incarceration by providing medical treatment instead. BHUCC will be a place where people with mental illness can go to be stabilized (instead of going to the hospital ER). It can be compared to an Urgent Care Center (where people often go for a medical emergency instead of going to the hospital ER). Each year, millions of Americans face the reality of living with a mental health condition, as 1 in 5 U.S. adults will experience a mental health condition in their lifetime. However, everyone is affected or impacted by mental illness through friends and family. 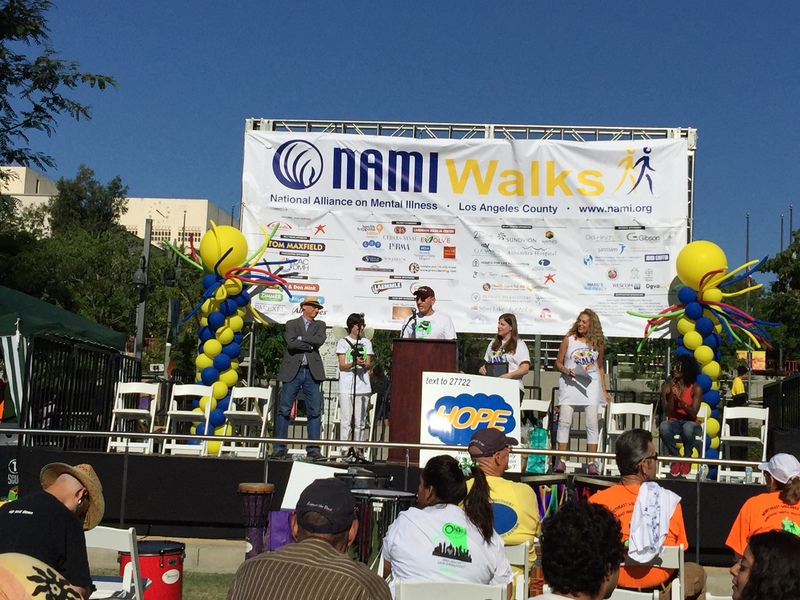 Throughout May, NAMI and participants across the country are raising awareness for mental health. Each year, we fight stigma, provide support, educate the public and advocate for equal care. Each year, the movement grows stronger. Help us spread the word through the many awareness, support and advocacy activities below by showing you’re #IntoMentalHealth. 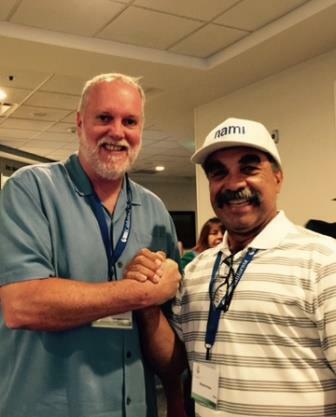 NAMI California held its annual conference August 21 and 22 at the Marriott Newport Beach Hotel and Spa. The program was excellent, the speakers were inspiring, and the awards granted were well deserved. 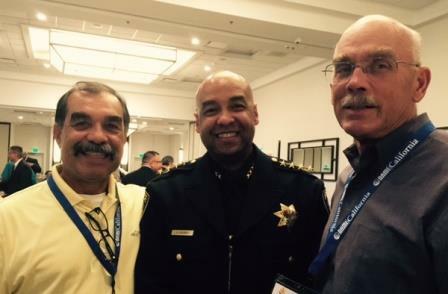 The conference and workshops addressed key topic areas from changes and progress in criminal justice to advocacy at the local, state and federal levels. Speakers included Patrick Corrigan, William Beardslee, Waynee Lucero, Sam Cochran, Judge Lawrence Brown, Andrew Sperling, Mark Refowitz, Deandre Evans, Stan Collins, Gary Bess and Joseph Robinson. Powerpoints for many of the workshops can be found by CLICKING HERE. CDs and MP3s of the conference can be FOUND HERE. The full program agenda describing the topics discussed and sessions held can be seen HERE. 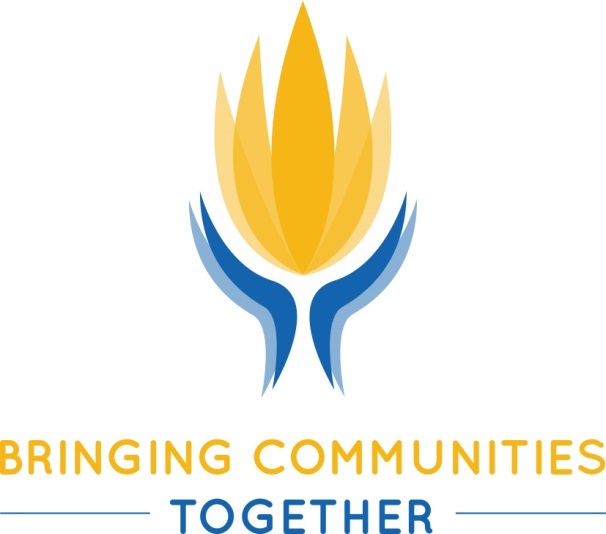 NAMI California is dedicated to the strengthening of local grass roots organizations. 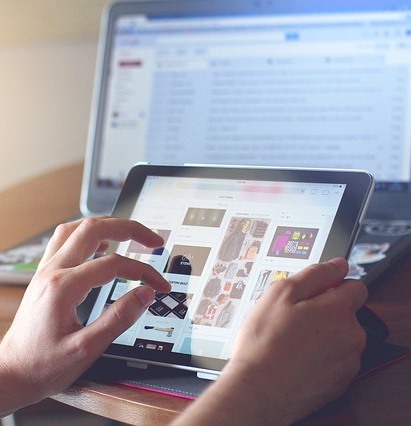 We provide updated information and support to local affiliates and are here to help organize new affiliates. 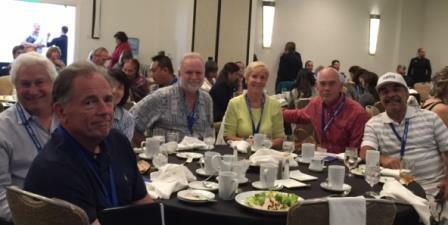 NAMI California has 71 local affiliates and represents 19,000 people to the California Legislature and Governor on mental illness issues. NAMI California educates families, professionals and the public about the recent explosion of scientific evidence that shows serious mental illnesses are neurobiological brain disorders. 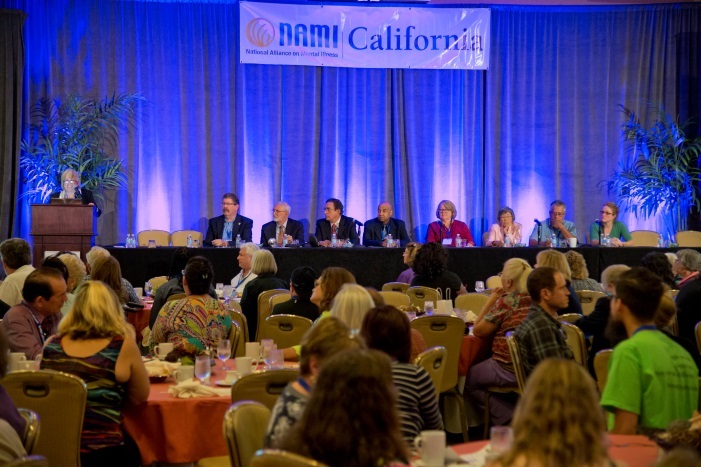 NAMI California works to provide a strong, coherent system that offers a continuum of care for the persistent, long-term needs of people with mental illness. 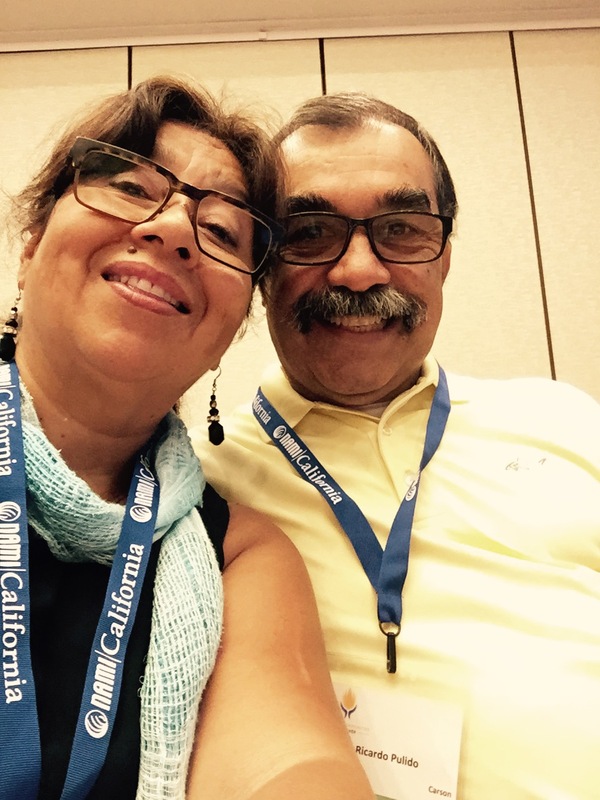 NAMI California advocates for increased research to uncover causes and new, effective treatments. 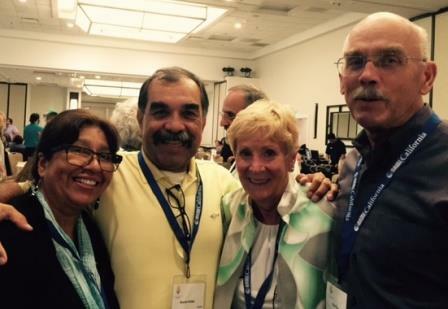 NAMI California strives to eradicate stigma. 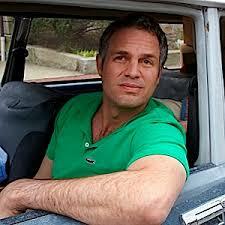 In the new, award-winning movie, Infinitely Polar Bear, Mark Ruffalo plays a father whose bipolar condition affects all or most of his life, from an inability to keep a steady job to bold wardrobe choices. Of his character, Ruffalo says he has “one foot on the banana peel and the other on the grave.” It a “real tightrope act.” Ruffalo, 47, had little difficulty accessing the character. He says manic depression “runs in the family,” and that he has personally suffered occasional bouts of depression. In the film, the dad comes around. He gets more regular on his medication and temper tantrums reduce, permitting his daughters to finally see him as the mostly harmless, lovable weirdo he is. No Hulk for next Captain America movie? 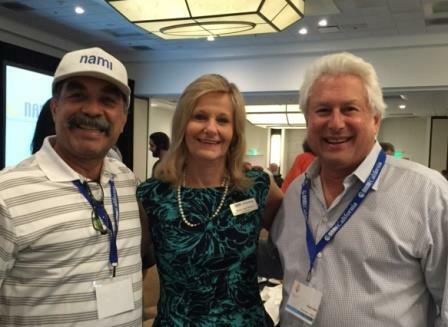 NAMI California’s Early Bird Discounts Are Ending Very Soon! Click Here To Get Your Discounted Rates Now! 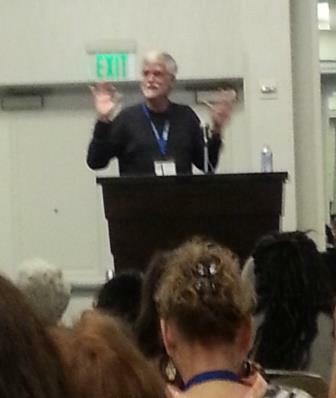 Patrick Corrigan is a Distinguished Professor of Psychology at the Illinois Institute of Technology. His research examines psychiatric disability and the impact of stigma on recovery and rehabilitation. Corrigan is a prolific researcher, having published more than 300 papers. Currently, Corrigan is principal investigator on several grants from NIMHD and PCORI that address health disparities from a community-based participatory research perspective. 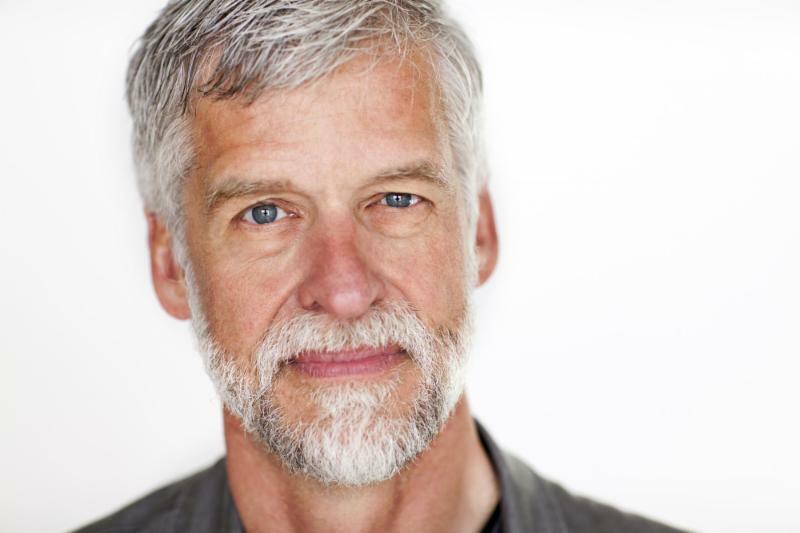 Corrigan has authored or edited more than a dozen books, most recently, The Stigma of Disease and Disability by the American Psychological Association and Coming Out Proud to Erase the Stigma of Mental Illness: Stories and Essays of Solidarity. With support of the NIMH-funded Center on Adherence and Self-Determination, Corrigan and his team have developed the Coming Out Proud program, aimed at eliminating the self-stigma of mental illness. Plus Many More Amazing Speakers and Workshops! 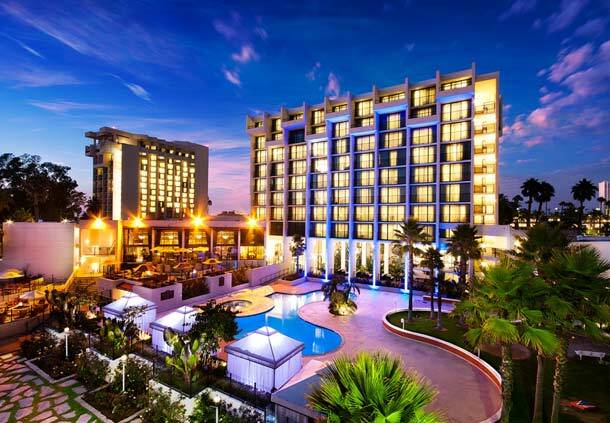 The Marriott Hotel and Spa is located directly across from Fashion Island and only 10 minutes from the John Wayne Airport. Click here for special rates of $169, plus tax per night. To receive this discounted rate you must make your reservation by August 5th or call (877) 622-3056 to speak with reservations.